Nintendo's flirtations with online gaming have always been cautious, but it admits it needs to become more open in its relationship with the internet, and your wallet. Nintendo is looking to alter its approach to online content by exploring different levels of paid subscription, Shigeru Miyamoto said. "Do we need to demand customers pay monthly fees to enjoy online activities? Or give an online subscription that is free of charge, but then offer something extra for people that pay, so that they get some extra value? 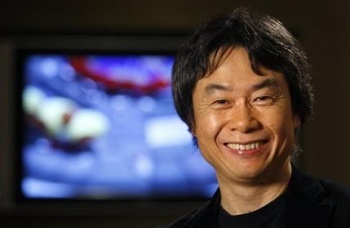 With these core business strategies I think we are less active than we should be," Miyamoto said. While Miyamoto said Nintendo wants to approach its online model with a higher level of business sense, he denied user complaints that Nintendo's online service is lacking. "To be honest, I think it's rather unfair whenever I hear such comments - that Nintendo isn't proactive when it comes to its online strategy," Miyamoto said. "The fact of the matter is that we always want all Wii consoles to be connected online, all the time, so Nintendo has never been less than proactive in that kind of endeavor." Although Miyamoto mentioned the possibility of extra content for subscribers as a potential business method, in general Nintendo is satisfied with the online service it is offering, he said. "...[W]hen it comes to our endeavors that try to take advantage of internet technology, where we can provide our customers with more fun and entertainment, then I think we can say we have been very, very proactive and well-received," Miyamoto said. "And that attitude won't be changed at all in the future."